The Holy and Great Council of the Orthodox Church to be held in Crete during Pentecost has prompted a great deal of discussion. The affirmation at the January Synaxis of Primates in Chambésy to proceed with the Council was historic and almost one hundred years in the making. With the stage set, this essay will examine three points: an historical framework with which to view the June 2016 Council; the role of the Ecumenical Patriarchate; and, the politics behind the Council with a focus on the Russian Orthodox Church. Constantine the Great called the First Ecumenical Council in 325. In this first Council of Nicaea, the now well-known number of 318 assembled bishops – although the number actually present was likely lower – condemned and rejected Arianism. Following about one month of deliberations, the Creed, with the key wordhomoousios (one in essence) emphasizing the unity of the Father and Son, was complete. The Council also dealt with matters of Church administration. Let us highlight three points from Nicaea and overlay them with the upcoming Council in Crete. First, the Ecumenical Council was summoned at the beginning, and confirmed at the end, by St. Constantine the Great. This is consistent with the first requirement outlined in a sixth-century treatise that for a council to be considered as ecumenical it must be convened by the Emperor. Second, on representation, the senior bishop in primacy of honour, Sylvester of Rome, was actually absent on account of old age and illness. He was represented by two priests who enjoyed a privileged position and even signed the acts before the bishops. Approval of council decisions by the Bishop of Rome/his proxies was sought-after in deference to his seniority and to ensure the unity of the Church. Concerning participation in Crete, John Chryssavgis, Archdeacon of the Ecumenical Throne who was present in Chambésy, noted during the Annual Schmemann Lecture that: “Not an insignificant portion of the hierarchy feels that the presence of lower clergy, non-bishops and certainly laity, is just not the same as having a bishop at a council.” While almost all participants at a council should be bishops (or their proxies), as overseers of the Church, there is significant precedence for both the absence of some church leaders and the activeparticipation of non-bishops. For example, the discussion around the meaning and importance of homoousios at Nicaea was led in large part by St. Athanasius, who, although he eventually became Archbishop of Alexandria, was “just” a deacon when he went to the First Ecumenical Council. Third, the Council was a deliberative assembly with a final vote usually unnecessary. Florovsky writes, “The collegiality of the bishops was assumed…” (although it did not hurt that an overseeing Emperor could threaten cantankerous clergy with exile). The key takeaway here is that decisions were not – and need not be – unanimous; otherwise, Arius and his supporters could have vetoed the decisions of Nicaea. The demand for unanimity by some has no more significance today than it did in 325, when it had none. On the decision making process and acceptance, it should be noted that consensus requires dissension. While it is beyond the scope of this essay to detail the conditions for authenticity, suffice it to say that council decisions and outcomes must be divinely inspired, consistent with Apostolic Tradition and received positively by the faithful who are the people of God. Many local councils and even some which clothed themselves with the “Ecumenical” title and followed proper procedure were discredited and rejected. Decisions must seem good to the Holy Spirit (cf. Acts 15:28) – this is the ultimate test, not the approval of every single participating bishop, some of whom may wish to play ‘God’. In the absence of an Emperor, the Ecumenical Patriarchate of Constantinople has been entrusted by the Church with this leadership role. The Great Church in Captivity – the epithet coined by Sir Steven Runciman for the See of Constantinople during Ottoman rule – has served as the Ever-Illuminant Lighthouse of the Orthodox World. This is not a romanticized view of the Ecumenical Patriarchate but a historical reality. Its power does not derive from government support, nor does its prestige spring forth from a conjured reality; instead, Constantinople’s primacy of honour comes from the canons and decisions of Ecumenical Councils, Church Tradition and a certain phronema (mindset) inspired, by among other things, Constantinople’s influence over ecclesiastical affairs throughout the centuries (e.g., architecture, iconography, missionary activity and hymnography), as well as the sixty-one recognized saints who have served as Archbishop of Constantinople-New Rome (not “Second” Rome) and Ecumenical Patriarch. This spiritual maturity, or institutional memory, has been cultivated over 1,700-years. It is Constantinople and its head, currently His All-Holiness Ecumenical Patriarch Bartholomew, who is entrusted with the coordination and ministry of pan-Orthodox unity and must at all times act with prudence consistent with its centuries-old responsibility to ensure all remain one. It is Constantinople who gave or raised to autocephalous status a number of Orthodox Churches, particularly in the twentieth-century. It is Constantinople who calls and chairs meetings of Primates, as it did in Chambésy or in 2014 for the Sunday of Orthodoxy. It is Constantinople where newly elected patriarchs (or archbishops) first visit after their enthronement. Similar to the respect shown to Rome during the first millennium of Christendom, autocephalous churches now defer to Constantinople as the first among equals. While the fourteen autocephalous churches are independent and no local church, including Constantinople, should interfere in the internal operations of another, there is also a system of order in the Church and the one who maintains it par excellence is the Ecumenical Patriarchate. Let us now turn our attention to the more politically-charged dynamics with a focus on the Russian Orthodox Church (ROC) and its head, Patriarch Kirill. 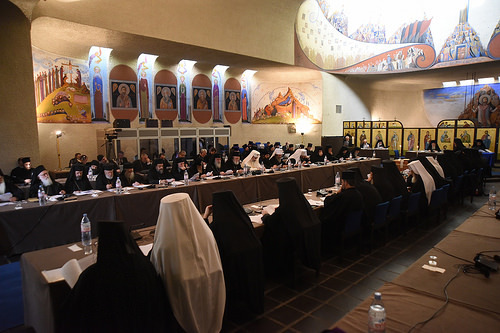 Following the recent Synaxis of Primates, the ROC held its Sacred Bishops’ Council in Moscow. This gathering gave Kirill the platform to favourably spin the outcomes from Chambésy, particularly with regards to Ukraine. The ROC even issued the following news release: “Unilateral recognition of schism in Ukraine will have catastrophic consequences for the unity of the Orthodox Church“ (my emphasis) even though many parishes in Ukraine nominally under the ROC do not even commemorate Kirill during the Divine Liturgy. In any event, such provocative and torqued rhetoric is scandalous and it can be argued that it draws attention to the lack of spiritual maturity of the current ROC leadership. Yet it was Kirill’s tête-à-tête with Pope Francis in Cuba that captured the world’s attention. The ROC, which has been pursued for decades by the Vatican for such a meeting, strategically timed the use of this ace in the hole to outdo Bartholomew and try to suppress his image as the leader of global Orthodoxy. The media coverage was surely pleasing to the ROC with commentators often describing it as the “most powerful” Orthodox Church and other such misleading claims. This includes the impression that the meeting followed a 1,000-year separation despite the ROC only becoming independent from its Mother, Constantinople, in 1448 – but why let facts get in the way of a good headline. Needless to say, ROC officials did not correct the record; the Joint Declaration even referenced “the shared heritage of the Church of the first millennium” in spite of the fact that the ROC has minimal actual connection to it. Such statements may elevate the ROC in the minds of some, but they are disconnected from reality in the minds of most. The meeting, according to insiders, was only made possible because the Kremlin (where Kirill was granted a residence in 2011) considered it in its own interest. President Vladimir Putin, according to the New York Times, “could have blocked the meeting but apparently concluded that it could burnish his global standing and undermine Western efforts to isolate Russia with sanctions over the Ukraine conflict.” This was more or less confirmed by Kirill who recently remarked that his meeting with Pope Francis could help lower the tension between Russia and NATO – as if Kirill is a servant in Putin’s political games. As a side note, the Ecumenical Patriarchate, in a rare show of strategic social media use (an area where they can learn much from the ROC) used two Tweets to express its happiness with the Pope-Patriarch meeting (here), as well as silently show the leadership of Bartholomew (here). Regardless of the rhetoric and jockeying for positioning in global Orthodoxy, any Constantinople-Moscow comparative discourse only serves to elevate the perception of the latter. In truth, Kirill is Patriarch of Moscow and All Russia; and Bartholomew is the Ecumenical Patriarch. Interestingly, though, the ROC, like the government of Turkey, avoids (or refuses) to use the word “Ecumenical” both for the Patriarch and his See, instead referring to it simply as the ‘Patriarchate of Constantinople’ in a sophomoric attempt to minimize this unassailable appellation from the seventh-century. 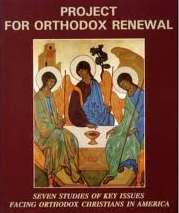 Florovsky, referencing V. V. Bolotov, writes that, “Church is ecclesia, an assembly, which is never adjourned.” This Orthodox ethos, its unbreakable bond with tradition (paradosis) and with the faith of the Apostles, is unique in Christendom. This relationship is a source of strength but when taken to an extreme, where the Church’s living tradition can no longer be nurtured, it becomes a weakness. Orthodox spirituality and its Christ-centred mystical tradition as exemplified by the Hesychast Councils of the fourteenth-century have much to offer the world. The Holy and Great Council in Crete is an opportunity for the Church to emphasize its unity and articulate and proclaim a modern-day message that conforms to Apostolic Tradition but still relevant in today’s society. The intra-Orthodox and inter-Christian dialogue will intensify before the 300 or so bishops from around the world gather in June. 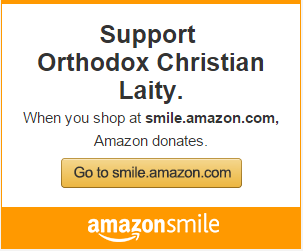 As His All-Holiness has remarked, “This is the moment of Orthodoxy.” It is incumbent upon church hierarchs to demonstrate the relevancy and richness of Orthodox Christianity and not be distracted by the dissenting wrangling promulgated by some. St. John Chrysostom, who served as Archbishop of Constantinople, writes that, “The desire to rule is the mother of heresies.” Therefore, the assembled bishops in Crete should “avoid foolish and ignorant disputes, knowing that they generate strife” (2Timothy 2:23) and instead should preach the gospel so that all may be one in the Lord Jesus Christ (cf. John 17:20-23).